The vigilance Congressional Republicans so enthusiastically embraced in 2013 is nowhere to be found in 2018. There was a time when even the mere appearance of impropriety was justification enough for Congressional Republicans to exercise their oversight authority to demand that the White House and executive branch justify their actions. During the infamous 2012-13 Benghazi investigation, reports surfaced that threats were being made by Obama administration officials against government employees who wanted to cooperate with the House Oversight and Government Reform Committee’s (OGR) investigation. OGR Chairman Rep. Darrell Issa (R-CA), my boss at the time, responded aggressively. 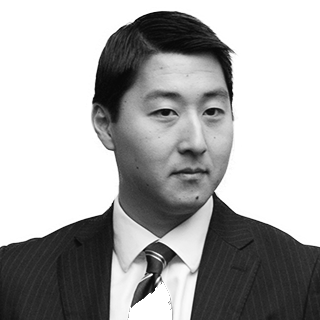 At a Congressional hearing held a few days later in May of 2013, Issa said, “Perhaps most troubling is the revelation of retaliation and intimidation tactics against life-long public servants who dared to question top officials." This is what Republicans sounded like in 2013. 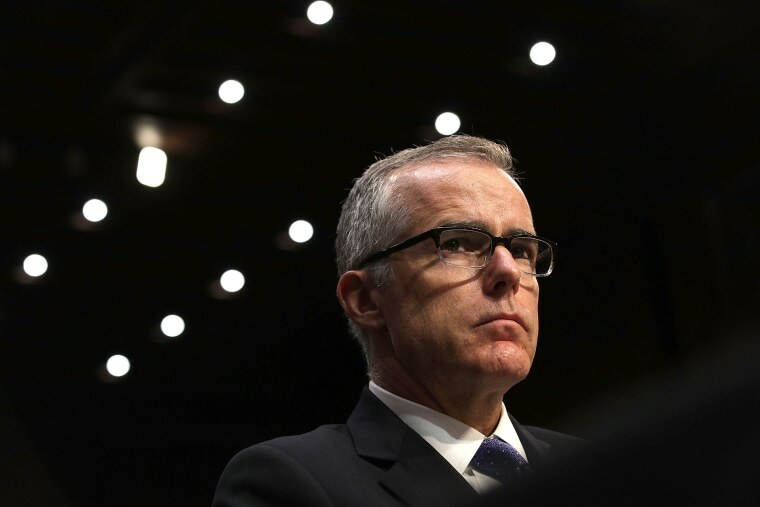 Fast forward five years — the Deputy Director of the FBI, Andrew McCabe, has resigned after enduring months of attacks from the president of the United States and Congressional Republicans. Where is the outrage? Unfortunately, the vigilance that Congressional Republicans so enthusiastically and productively embraced in 2013 has instead been replaced with cowardice in 2018. During my four years working at the House Oversight Committee, Republicans spoke about the importance of providing checks and balances. We’ve learned that in May of 2017, Trump inappropriately asked McCabe who he voted for in the 2016 presidential election. On July 25, Trump attacked McCabe’s ability to be fair and impartial on Twitter. On July 26, Trump publicly suggested that Attorney General Jeff Sessions should have replaced McCabe. And just last week it was reported that Sessions, under pressure from Trump, had himself been pressuring FBI Director Christopher Wray to fire McCabe. Keep in mind this is all unfolding just days after it was reported that last summer, Trump had ordered the White House counsel to fire special counsel Robert Mueller. During my four years working at the House Oversight Committee, Republicans on the committee oftentimes spoke about the importance of providing checks and balances to the executive branch. We advocated for the American people’s right to know what was happening inside their government and why. Trump’s open hostility towards McCabe is a stunning and a blatant example of political intimidation backed by the threat of retaliation. As such, it is also exactly the type of flagrant politicization of the Justice Department that would have resulted in a major investigation from our committee's members and an initiation of the compulsory process. Trump’s open hostility towards McCabe is a stunning and a blatant example of political intimidation backed by the threat of retaliation. In other words, within 24 hours we would have sent a subpoena to the administration requesting that they produce all documents and communications related to McCabe’s “decision” to resign. We would have exercised our oversight authority to compel Sessions, Wray and anyone else who participated in conversations about McCabe’s employment to testify in a public committee hearing about the facts and circumstances leading to McCabe’s resignation. We would have used every tool within our constitutionally protected authority to get to the truth and hold those involved accountable. Instead, Republicans are using their oversight tools to instead obstruct the FBI and politicize the Justice Department. They have gone from being an independent and vital check on the executive branch to being an instrument of the state used to distort the facts and distract the American people. The GOP has forgotten that it was their aggressive pursuit of oversight that in part helped them regain the majority in Congress eight years ago. In the early years of the Obama presidency, Democrats enjoyed majority control of the House and Senate. Republicans were mired in a political abyss with no message and no idea how to navigate the new era of politics and activism that ushered in the Obama-era. But by adopting an oversight agenda, Republicans were able to cast themselves as the vigilant seekers of the truth and transparency on behalf of the American people. It was a different kind of populism that helped Republicans forge a deep connection with an American electorate that more and more felt that Washington had left them behind. The GOP has forgotten that it was their aggressive pursuit of oversight that in part helped them regain the majority in Congress. Investigations examining the unpopular bailout of Wall Street, how stimulus dollars were being misspent, the government regulatory failures that paved the way for the catastrophic BP oil spill, a gun-running operation across the border that went bad known as Operation Fast & Furious, the terrorist attack on the Benghazi compound in Libya, the IRS targeting of conservative groups, and others all became centerpieces of congressional campaigns nationwide. Issa’s brash brand of oversight was so effective that it prompted the White House and the Democratic Congressional Campaign Committee to circulate opposition research in an unsuccessful effort to try and discredit him. Since Donald Trump became president, however, the Oversight Committee has been much more quiet. Gone are the hearings featuring administration officials. Gone are the subpoenas. Gone is the aggressive rhetoric from Congressional Republicans demanding transparency and accountability in government. Gone is the Republican Party’s brand as being the watchdog of the American people. As a result, it is Congressional Democrats who now have the opportunity to do to Trump what the GOP did to Obama. It may even win them back to the majority, just as Republicans did in 2010.